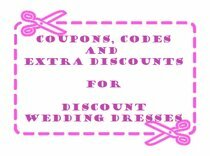 Discount Wedding Dress - 6 Places To find Your Cheap Wedding Gown! 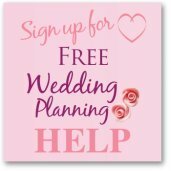 6 Places To find Your Cheap Wedding Gown! 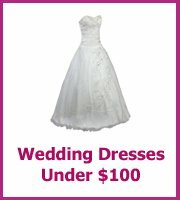 Finding the perfect discount wedding dress is easier when you know where to look! 1. The first place to try is a bridal boutique, and not just one of them, lots! Shop around so you get an idea of the prices of the wedding dresses and the styles that suit you and that you love. But don't buy your dress straight away as there are lots of other places that you could find the same dress for a lot less money. Keep an eye out for announcements that local bridal stores are having a sale and be prepared to fight for your wedding dress if you go along. It can get very competitive, especially if you are not the only one that wants the dress. Take friends along with you to help you bag the bargains and it may be a good idea to wear your swimming costume on the sale day so you can try on lots of dresses in the store as there may be a queue for the changing rooms! It sounds very cut throat but having your friends with you on a big sale day is worth it. 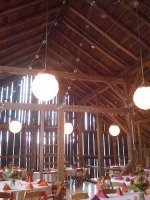 They can help you grab dresses that you can use to barter with other brides that may have managed to get hold of a dress that you want. Remember to be nice! 2. Secondhand stores are also a great place for wedding dresses, start by making friends with the staff that work in these stores and explain that you are looking for your wedding dress, leave your contact details so they can call you if a dress comes in that is your size. It is worth starting the search early as it will take longer to find the right dress, if you can, try looking in areas that are fairly well off as the stock will be good quality. 3.Ebay is another place to find sale wedding dresses, make sure you are buying from a reputable seller and that you ask lots of questions about the dress, check to see if the dress has been altered and if there are any stains. Try and get to see the dress and try it on if you can. 4. Free Ads also sell wedding dresses and these will mainly be by a bride selling her dress after her wedding. You will find that a number of brides sell their dress quite soon after their wedding as the dress will still be in season. And some brides will even buy more than one dress! Again, make sure you are buying the dress that you want, ask lots of questions, if they are genuine they won't mind answering! 5. 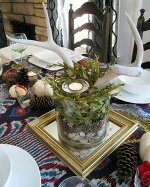 Bridal forums are full of secondhand wedding items, discount wedding dresses included, you may even find brides selling a wedding dress that they haven't even worn. This could be due to a number of reasons, so don't be put off, some brides do buy more than one dress! 6. Bridal shows are also worth going to if you are looking for a discount wedding dress, a number of suppliers will be looking to sell dresses on the day and will be open for negotiation as they won't want to be taking all of their dresses back with them. For the most choice you will need to be there on the first day of the show, however for the best bargains the last day of the show is the best day to go. You may even want to communicate with the bridal shop before the show to see what dresses they will be bringing.